Mojkovac is a town in northern Montenegro. It has a population of 4,120. 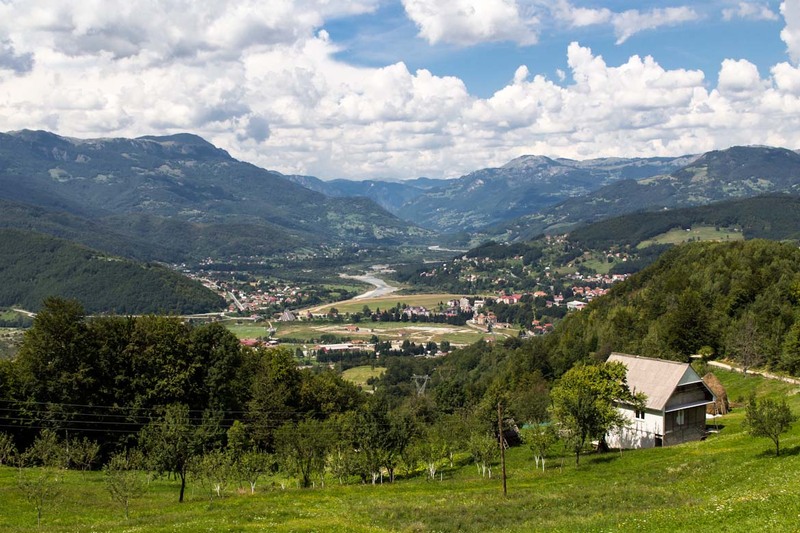 Mojkovac is also the center of the municipality, which has a population of 10,066. Mojkovac is on the west bank of the river Tara between the mountains Bjelasica and Sinjajevina. It is near the old mining town of Brskovo. Brskovo is one of the oldest mines in the region. During rule of King Stefan Uroš Nemanjić there was a money foundry there, from which Mojkovac got its name. Mojkovac is famous for the Battle of Mojkovac in 1916 where the Montenegrin army defeated the more powerful, Austro-Hungarian army. Mojkovac has a small amount of tourism. 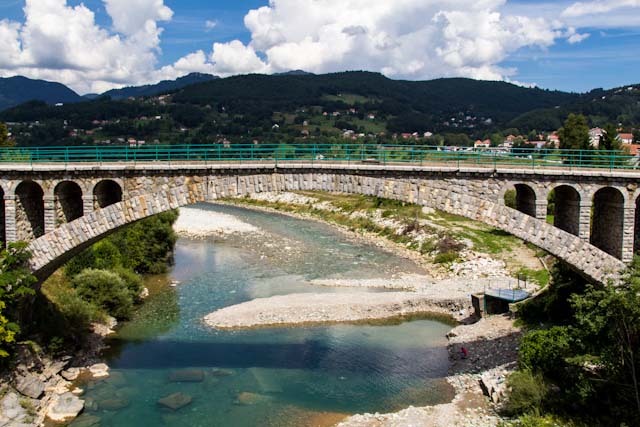 Since the Tara river is located near Mojkovac, there is also whitewater rafting. The monastery of St. George in Dobrilovina, is the most important cultural and historical monument; it dates from 1592. Also the national park of Biogradsko Gora is nearby. Mojkovac has a station on the Belgrade – Bar railway. 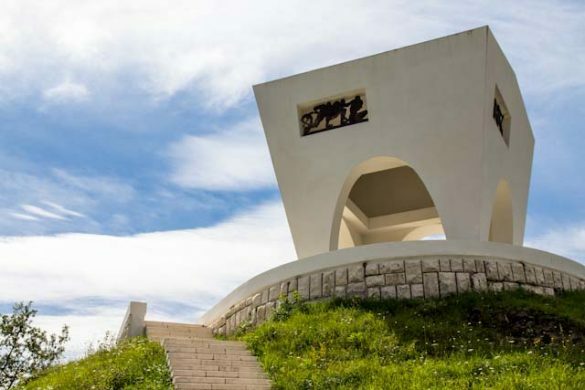 It is also at the intersection of the main road connecting Montenegro’s coast and Podgorica with northern Montenegro and Serbia (E65, E80), and the road leading towards Žabljak and Pljevlja. Mojkovac is on the west bank of the Tara river, between the mountains of Bjelasica and Sinjajevina. Podgorica Airport is 105 kilometer (65 mi) away, and has regular flights to major European destinations. 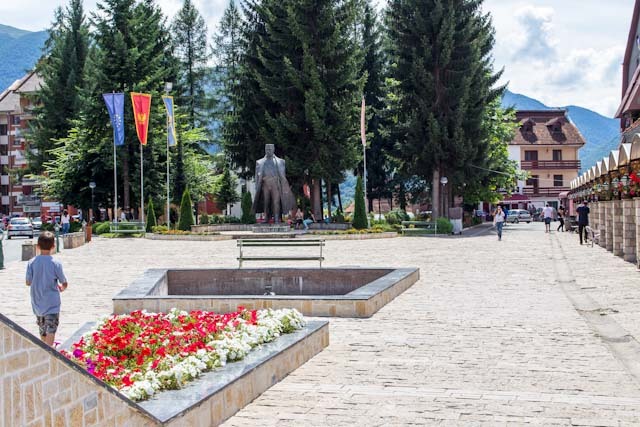 Like many of the northern Montenegrin, Berane is a city with a small number of visitors. It has some form of winter tourism with ski possibilities at Skrivena and Smiljevica. The mountains of Prokletije and Bjelasica can be reached in a reasonable distance. What is an important development for Berane is that it is on the route of the future highway between Belgrade and Bar. This will certainly have economic and tourist consequences as a stopover for those who want to travel from Serbia to the Montenegrin coast. Hotel Serdar – Like many of the northern Montenegrin, Berane is a city with a small number of visitors. It has some form of winter tourism with ski possibilities at Skrivena and Smiljevica. The mountains of Prokletije and Bjelasica can be reached in a reasonable distance. What is an important development for Berane is that it is on the route of the future highway between Belgrade and Bar. This will certainly have economic and tourist consequences as a stopover for those who want to travel from Serbia to the Montenegrin coast. Facilities : Free Wi-Fi Internet, Free Parking, Restaurant (à la carte), Breakfast in the Room, Mini Bar, Garden, Wake Up Service, Ironing Service, 24-Hour Front Desk, Safety Deposit Box. Location : 2,5 km from the city center.